Micro Moments is Google’s term for when consumers suddenly have the need to know or do something. 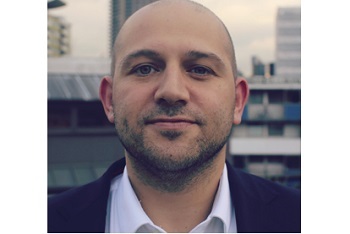 Oliver Gold from mobile ad company YOC looks at four defined micro moments and what advertisers and marketers need to consider when addressing these opportunities. In a report by emarketer last year it was estimated that global mobile ad spend is expected to reach $200 Bn by 2019. This will account for over 70% of global digital ad spend. More Google searches now happen on mobile devices than desktops and because of this shift in behaviour marketers have had to adjust their mobile strategy. The key issue here is not that people have replaced their desktops with mobile, they haven’t, it’s that they are using their mobile devices in different ways. •	I-want-to-know moments. This is when a consumer suddenly has the need to know something, maybe a product they’ve seen advertised on TV. •	I-want-to-do moments. This is when a person is doing something at home like cooking or DIY and they need to know a recipe or information about a certain tool for the job. •	I-want-to-buy moments. This is the moment every brand wants access to. Perhaps when a shopper is out comparing prices and decides to buy from an online store. So, we have these official micro moments and as small as they are in terms of time spent by the consumer, they are massive opportunities for brands in terms of building awareness and generating sales. Advertisers must have the content in place to meet customers where they are at any time and be able to understand what will drive them to convert during the micro-moment. It’s a marketer’s job to help brands identify customer intent using data. It’s a marketer’s and advertiser’s job to address these micro-moments with the right kind of content that is optimized for mobile. Content that resonates with consumers – whether it’s an I want to know moment or an I want to buy moment. The technology needs to be scalable. YOC recently ran a mobile ad campaign for Starbucks (see image below) which hit the micro moment perfectly for their latest LTO (Limited Time Offer). Starbucks wanted to target predominantly 18-34 females, catching them at a time when they were most likely to engage with the ad and indulge in a treat for themselves. 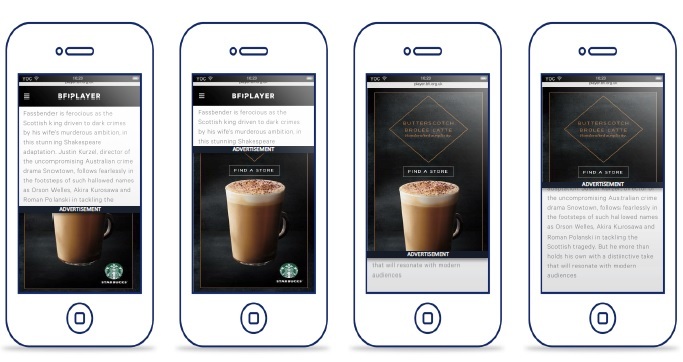 Starbucks and the marketing agency had access to consumer data revealing the prime time for a mobile ad to resonate with this audience was between 10.30am to 5pm. YOC’s latest ad format, the Understitial, was used for this programmatic mobile ad campaign. Unlike the interstitial, The Understitial ad is gradually displayed when the user scrolls down a page. This format worked best for time targeted ads, ensuring that users were exposed to the ad with images and messaging that would strike at the I-want-to-go micro moment. KPI’s primarily focused on reach, engagement and viewability and results outperformed targets set for this campaign. We have delivered similar formats for brands including Slimming World and Nat West, with both looking to target their audiences at the perfect micro moment. YOC’s Understitial creative format was built for this type of campaign. It’s less intrusive and able to deliver targeted ads without annoying the user. The point is that marketing across mobile is changing rapidly. Access to advanced data and analytics are able to identify subtle shifts in behaviour and changes in the way people consume content. If there is one thing that’s guaranteed, it’s that these behavioural changes will not stop. It’s up to mobile ad companies to be flexible and innovative and ready to respond whenever the next “micro moment” occurs.